I’m pretty excited to share my latest collaboration with ToSave, who are an online e-commerce company based in China. They offer a wide range of products from electronics to fashion and everything in between. I’m a huge fan of online shopping because you get to sit back and take your time selecting the items you like, and then when it arrives, it feels like a present. TOSAVE can price match any item so you can get the best bang for your buck and they offer a free shipping service for any product via Airmail. TOSAVE owns a variety of suppliers and have driven continuous cost saving program with all sub-tier suppliers. Shopping with us, you can get 10-70% off than E-bay and other website. Of course, when you browse the product in TOSAVE.com, if you find our product price is higher than others, please add other URL in the “Price Match”. TOSAVE.com will review it and adjust the price accordingly. Lastly, our products’shipping are all free if you choose Airmail to deliver your package. Let’s get started with my mini haul! I picked out two items which I’m loving dearly at the moment. First up is the 12 Piece Set of Makeup Brushes, each with copper detailing and ombre coloured bristles which are super soft and easy to clean. 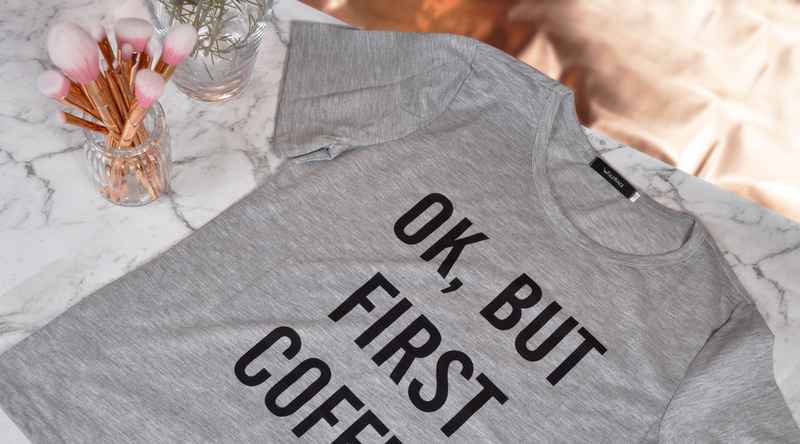 The second item is a casual printed t-shirt with the words Ok, But First Coffee. The fabric is made from cotton and feels lightweight, soft and comfortable against the skin. I can see myself wearing it a lot in summer! I highly recommend you visit www.TOSAVE.com to find a variety of products at affordable prices. What do you think of the items that I have chosen? Never heard of them before, could be interesting! You should check them out, there is something there for everyone! The brushes are so bling! I’m loving all things copper at the moment. It is such a fun top to wear! I love it! Love your content and photos! TOSAVE sounds like a great online hub and I’m loving that graphic tee! I’ll have to check ToSave out! I’d never heard of them before reading this blog post! Thanks Ingrid, I am loving how affordable their products are, and you can’t beat free shipping! Oh I love your picks! They are all so cute! Those brushes look gorgeous. Are they good quality? And is this site only in Australia or worldwide? The brushes are pretty decent for their price point. The website is worldwide and can be viewed in 9 different languages, it’s so good! Those makeup brushes are so pretty, good choice in getting them in copper.